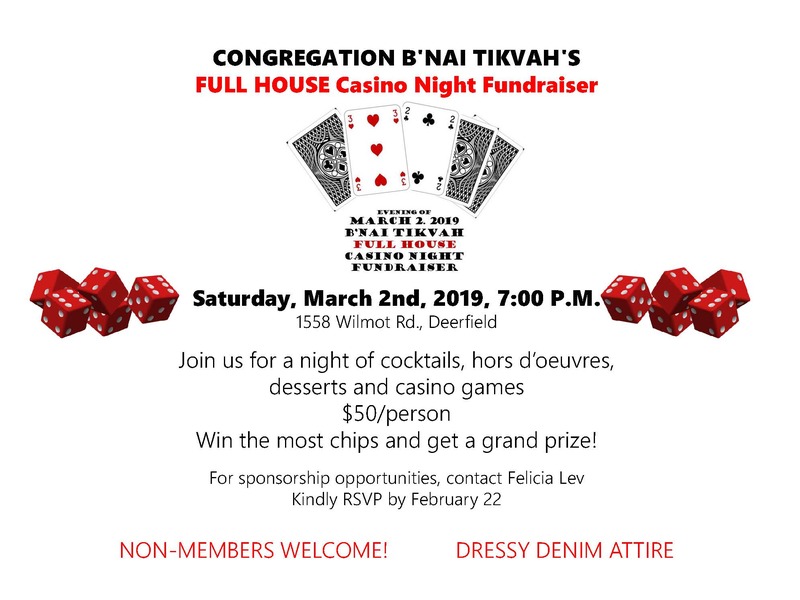 Join us for a night of cocktails, hors d’oeuvres, desserts and casino games. $50 per person. Win the most chips and get a grand prize!